Add luxury to your home or wall with this one of a kind beauty wondrously made in Pure Kashmir Silk. It has an extremely unique pattern and its design is called Seneh. - Absolutely gorgeous Silk rug handwoven in Pure Silk by our skilled craftsman. - It has taken about 6 months to weave this rug. - The primary color of this masterpiece is soothing blue and the design is called Seneh. - Seneh rugs are called Seneh because that is the dialect of the weavers. - In most of the world dialect is more than just language it is an identity. - Our recommendation is to use this rug either as a feature rug or as a wall hanging. 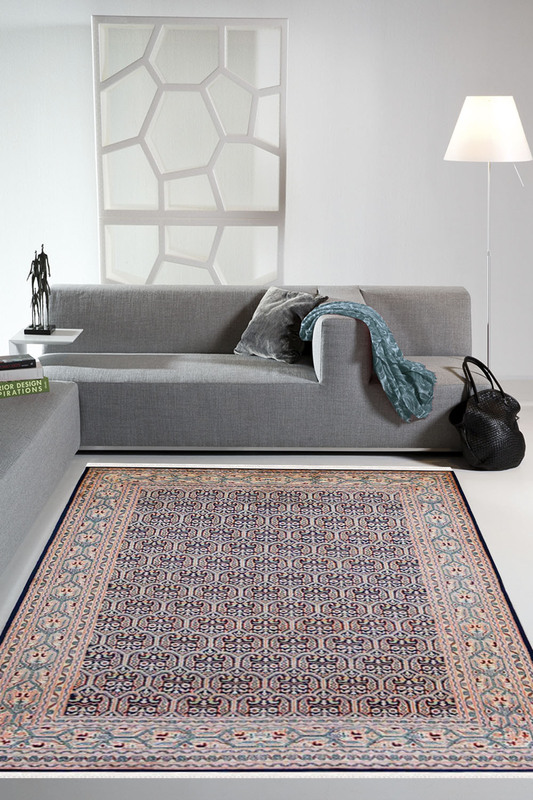 - Due to its intricate workmanship, this rug requires extra care and maintenance.